A nice little handful of measurements...find some air conditioning and ice tea and have a look. Most model names at the beginning of the paragraph link to the measurements or are to be found in the copy; links to reviews are included where relevant as well. Audeze iSine 20 Passive Wired - These open-acoustic, in-ear, planar magnetic headphones are a world's first...seemingly an answer to a question no one was asking. In the end, however, I dig them; I'll be posting a review soon. The measurement shown is without the Lightning cable DSP/DAC, and it's not all that great. A big trough in the lower treble makes them sound pretty hollow. But put on the Lightning cable and everything changes. The only measurements I can take with the Lightning cable is an FFT frequency response to white noise. It's clearly much better. Those measurements with upcoming review. Audeze Sine DX - I got to hear and measure an early prototype of this headphone about 3 years ago. I thought it was pretty good for a piece of 3D printed plastic back then...and thought it sounded quite a bit better in real life now. It's not perfect---a little forward in the presence region---but it's a really nice iPad headphone for around the house, and a gorgeous design. AudioQuest Headphones - Got the chance to measure all the permutations of the AudioQuest headphones with the new pads. I liked the Microsuede pads as they seemed to add some sparkle. Gave me nice representative measurements of the NightHawk and NightOwl with the stock pads. Focal Headphones - The recent curfuffle over the Focal Utopia and Audeze LCD-4 reviews Allowed me to pick a solid representative measurement of the Utopia, Elear, and Utopia with Elear pads. Kind of discouraging how much effort went into getting representative samples. Massdrop - The folks at Massdrop have been kind enough to send me samples of their headphone drops of late. Recently measured the NuForce Every Day Carry and Noble X---which I thought was the better value of the two. Actually, I think the big value is Massdrop themselves! They do a spectacular job of listening to the community and taking that feedback into account when working with a supplier on a particular model. A Massdrop headphone is almost always a good value! MrSpeakers Aeon - Got three production units in for measurement and review, selected this MrSpeakers Aeon as the most representative, and here with the filters inserted. Boy I like these headphones. Sonoma Model One - A really unusual electrostatic headphone, with a really unusual driver, driven really close to its limits, that sounds really good when you keep it within its limits. Note the midrange distortion. Full deets in the review. Sony MDR-Z1R - The review that launched a thousand posts. I don't get it...a technically fabulous headphone, amazingly comfortable and well-built, but the tuning just doesn't make sense to my ears. Oh well, my responses to the tumult are here and here. ZMF Atticus and Eikon - I don't know, maybe hand-made headphones are just a breath of fresh air in my ears, but I enjoyed my time reviewing the Atticus and Eikon. I felt the Atticus the better of the two...I've always liked micro-fiber cone drivers. The Audio Technica A900X is known as the "best" overall closed back Audio-Technica in the community, though you may find a minor channel imbalance with my pair if you can get it to seal properly on the HATS, which I'm sure will be somewhat of a pain due to the wings. The B&O H6 2nd Gen I feel is worth reviewing and a serious second option for people looking at the M100. Looks beautiful and has a nice fun consumer tuning without being too far off to my ears while maintaining very good resolution and soundstage for a sealed can. The Koss KSC75 I saw you measured before for HeadRoom, so I sent a new pair to make sure the IF measurement database is just that much more complete. The VE Monk+ and Edifier P180 are relatively new earbuds that are hyped. The former is well known by the community for costing $5 but sounding decent for an earbud, and the P180 is another serious contender for cheap but not quite as cheap as the Monk. Philips SHE3590 should measure similarly to the SME3580 you have. Surprised me for being as good as it is for such a cheap IEM. He also sent in a pair of Sennheiser HD 380 Pro headphones. 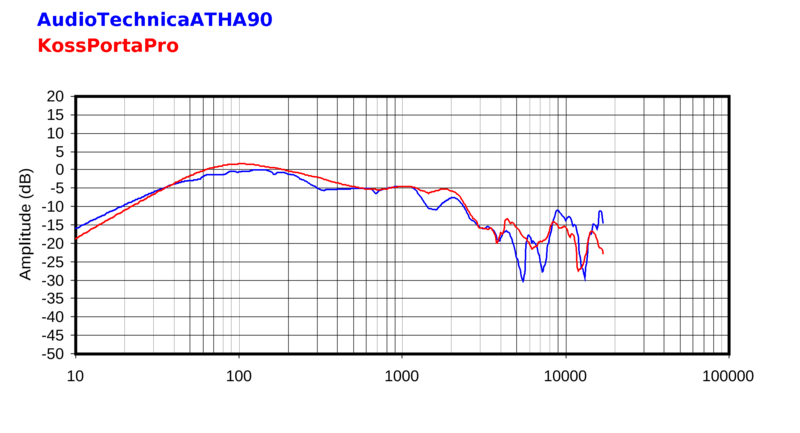 A check against the HD 280 Pro measurements bare out what me ears have told me: the 280 is better. Howard - Don't have a screen name, so we'll just leave it at that. Howard sent in another pair of Sennheiser IE800 to take a shot at. These have been terribly troublesome for me to measure, and I think I managed to get the best record to date. Still too much ringing at 10kHz for me. He also sent in a pair of Earsonics ES3 BA in-ear earphones. These seem like a pretty good value at $400. Warm and smooth. ALrightythen, fire up the grill but keep that airconditioning on. It's 90* up here in Montana, can't imagine what it's like in Arizona and Texas right now. Many Thanks for the Measurements! Many thanks for the measurements, Tyll! 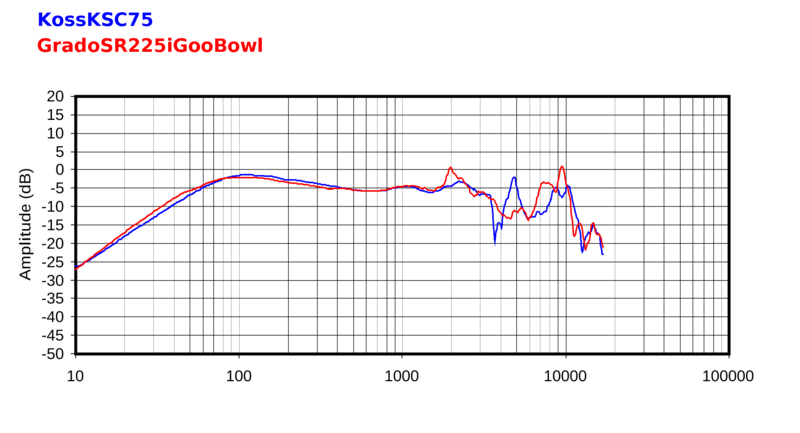 In addition to helping understand how prospective headphones will sound, I use you measurements totether with the Harmon Cruve as the basis of the equalization of my headphones. And you have included measurements on a new set that I have coming! Great! Your giving post is very informative because it is useful knowledge for me. and I would want to share Web Hosting $1 I give here all detail about Godaddy 1 Dollar hosting plan that is vest for you and I wiil visit here for related post information. This is not the place for this type of crap. I knew there was something wrong with them from day one. Only $150 so not a total loss, but I am going to take them apart this week and do some modding to see if I can make them sound better. Nothing ventured, nothing gained. I did order pair of HD 280 pros yesterday and they should be here by the weekend and I will compare these two models. I am also going to really burn in my HD-380s with 24 hours of loud pink noise followed by 24 hours of Harry Nilsson's Jump Into The fire to really "spank them" and see if some tough break-in might help them. It is nice to know my ears are not as "tinny" as I might have suspected. I just ordered a set of the foam inserts to try in my HD-380's as a cheap ($13 total with shipping) way to do some no destructive testing and see what it does to the EQ of the cans. I'll pull off the ear pads and give it a go. Disassembly was not too bad. Pulled off the earpads and there is a black, oval, earpad ring the runs the inside circumference of the headphone inner cup. You can carefully life it off with a mini screwdriver set. Just be gentle and that will expose the small retaining screws that hold in the drive plate. That plate also has a key wedge that holds the headphone yoke in place so you must put the can housing back in the yoke before you reinsert the driver plate and the screws to put it all back together. There is not much to these cans and there is nothing to dampen the cheap plastic housing back of the cans. When you listen to these cans you can feel the vibration coming off the drivers on the outside back of the cans. That can't be a good thing and may be partly responsible for the edginess of the sound of these cans from 1K and up (2.5K seems to be a trouble spot for them. I am now burning them in with Harry Nilsson's: Nilsson Schmilsson CD that will run for nearly 2 days. These cans are still way to bright, but here is what I did. I painted the inside back can housing with rubber cement to try and dampen the cheap plastic. Of course I could not maintain a perfect thickness coating, but at this point I did not care what I did. I then added one thickness of a Bounty Paper Towel cut to oval size to also try and tame the resonance and quiet the bass just a tad that was over powering to the rest of the presentation. This did reduce some of the bass. This did also help tame the back driver reflections to the rear of the plastic can housing, but still not enough to totally dampen it. As the rubber cement dried it will help hold in the paper towel, but I may change that out to something thicker to even try and absorb (ha ha, it is Bounty the Thicker Picker-Upper) more of back driver energy. It is clear to my ears at least that the HF energy of the driver is just not a good match for these cans. I am really "spanking" these can now as I can hear Nilsson from the next room. I'm not even going to bother listening to them until Sunday (about 50 hours) and I'll decide to do more or open them back up and try something different. It was not that hard to do, but it may be fruitless at this point. These HD 380 are a real disappointment for me as I am a huge fan of Senn. I own 3 of their e835 vocal mics, one e 865 condenser vocal mics, and e 945 hypercardiod dynamic vocal mic (my fav live mic for my solos at church) and a pair of pencil condensers e614's that do a nice job on acoustic instruments and pianos. I really like the company. Still waiting for the HD 280 pros to arrive and get a feel for those. In my studio I still love my AKG K271's and my gaming son listened to the AKG 271s and he loved them and wants a pair and is going to by a Rode USB mic to up his gaming fun. Young people when they hear better will buy it. Most have just never heard it. I'll post more later on this and any comments about what I did, or what you think I did wrong are welcome. It is just science class...no in session. I look forward to the Mr. Speakers foam showing up next week. Not sure that the open cloth inside the foam earpads covering the drive plate does much of anything other than keep dust out. Yes, I thought the same thing. I came across one mod, possibly on Head-Fi, where i randomly drilled three small holes into the INNER ear cup. HUGE improvement in sound, though admittedly, still not top-notch......and the clamping force on my head is unbearable. Have I missed the possibility of small size cuts of the various papers? I would definitely want to tame the 2k to 5K region of my HD380 Sennheiser cans, but that still may not be enough, but I am going to try some Scott toilet paper tomorrow. Selling the various models of paper in 1 foot squares would be nice if the company could do it....or a dealer. A huge improvement over the HD 380's right out of the box. A little recessed in the mids compared to my Sony 7506's and the AKG K271's but they are fully broken in and these are fresh, seconds out of the box. This is how a $99 set of cans should sound and those of you excellent hearing out to 16khz should like these can and I'm sure I will as well. These are the can to buy and and HD 380's, unless they improve them should be avoided. I am still burning in my HD 380's as I have them on a full size Styrofoam head I bought from Hobby Lobby to do some head measurements with my pencil mics later on when I drill some holes to accommodate the pencil mics in the ear positions. Will drill some 1" holes through the sides to get the capsules in the ear position. I will check back on the burning in of the HD 380's on Sunday afternoon and see if there are any changes for the better. I am not expecting any, but you never know. I burned the HD 380's more last night with Michael Jackson's Thriller and just took them off my set up at 1:30pm. I would say they have improved overall. I played them very loud. What I did to the inside of the ear cups did reduce the base and made the overall presentation better balanced and I can add back as much bass as I want based on the music material. I felt very little vibration from the earcup backs, a good thing I think. I think that over all I like what I did to these cans, but it is a little bit much and I would not expect anyone else to want to go through this, but as a math teacher a little science project can be a good thing. It may also be that with my hearing loss and now that they are more broken in that the highs are less troublesome to me. I can use these cans now, something I could not do before. Just a slightly different presentation. I still like my 2 pairs of AKG 271's as my $200 preferred cans and my K701's as my best cans I own. I will keep my 2 pair of Sony 7506's and order one more pair of HD280s to give me 2 of each for my home studios for clients to use during tracking. I did write AKG top ask them about their new 275's and how they feel they compare to the 271's and what made them add them to the line? There are about $50 less than the K271's so they may not be as good and AKG might have been just trying to reach a price point with them. If any of you try to mod your HD 380s let me know what you did how you think YOUR mod came out. Thanks to Tyll for all his work on getting me started on this. I reopened the cans today and took out the paper towel as after living with them for a while I though that it dampened the bass too much, but I left the rubber cement in place. The better, fuller bass is back, maybe not as much as before(?) but certainly fuller than with the paper towel in place. They don't need any help in the bass region now. What is interesting is that there is a very noticeable (to me) rise in frequency response from 500hz, 750 hz, and 1khz over the 250 hz level. It continues to stay at the 1 khz level to 1.5 khz and 2 khz that still gives the sound a somewhat "tizzy" sound to me. There is definitely a peak resonance in there that my ears do not seem to like. The Mr. Speaker "filters" came this week and they are of a rectangular shape (foam) and can be held in place with the inside earpad lips of the HD 380's. It is not a perfect fit but I can get them to stay in place and cover the driver(s) inside the each ear cup. I see these as nothing more than speaker makers trying to choose which grill cloth to put on their cabinets for sound and visual improvement. Often many speaker owners chose to take off the speaker grills and not use them and mask any sounds coming from the drivers. I will say that the Mr. Speaker foam pads do seem to tame the 500hz to 2 khz region some, but I do not know if that is their intention for their superb cans. At their level little things greatly matter. I am not going to do any more mods to HD 380 cans, but I have to admit that I was using my Shure 215 IEMs ($99) last night and preferred them to the HD380s due to the issues in the lower midrange up to 2khz. Not sure if there are any other things to be done, but I am done experimenting with them. I will leave the Mr. Speaker's foam filters in place for now. Same with the Sennheiser hd380 here, I gifted them because I hated them! Sound-wise they have a kinda boxy midrange, not too bad. The worst thing is the comfort, I have big head and I feel they will crash my skull every time I put them on. It was my first serious purchase 5 years ago, and I was so sad about them! I know it's off topic but I want to add a word about the Beyerdynamic dt150. I got them 3 months ago and I am very impressed by them. With stock pads you can hear some potential, but they are really bad in terms of sound quality and comfort. What I found is that the stiffness of the pads adds bass but also veils the upper mids because of the distance of the driver from the ear. You end up with a kinda bass-heavy-slow-veiled sound. With pads rolling the things are very interesting, I got good results in sound with the Fostex mk3 pads, and also dt100 velour pads. When the driver is close to the ear you got a full midrange experience with no veil and it's incredibile for the price. Sometimes I think they best my Sennheiser hd600 in SQ. I know you just measured them, and I want to ask what are your feelings and if you tried a different pads on them. 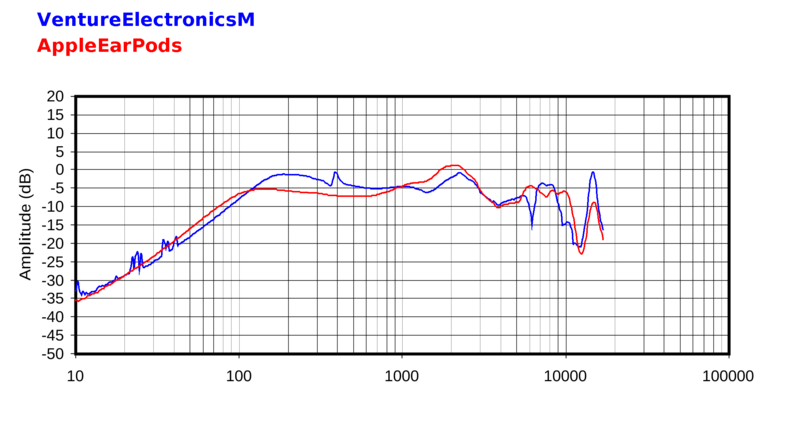 There may be a mistake in the measurements of the MrSpeakers Aeon. I am reading your blog since years now. Because of your review I own a Focal Elear. Great can at all. Could you do me a favor? Please have a listen at them with the Brainwavz Hybrid Pads. Awesome! Would be great to read about your opinion. In my own blog in german language, I show how to mod headphones and the Elear elevates one or to floors higher. With these pads ist beats the Utopia, no kidding. More bass, less distortion, cleaner highs. No Meze 99 classics or Neo? Did you ever get to retest the Meze 99 Classics or neo? The HD380 measurements appear better to me. True, the HD380 FR appears bumpy, and the HD280 appears to have better distortion and square waves, but the FR is similar to the AT M50x, and isolation is much better--isolation appears better than some ANC headphones, particularly with bass. I like the bass boost above 100Hz, and if i were going just by measurements instead of listening before making a purchase, i would choose the 380. Having said that, to acheive this isolation, these headphones comfort may be compromised. And after the AKG K1000 isolation anomaly, i question whether these headphones can really isolate that well in the bass. I'm not sure I trust the 380's isolation graph, being their owner. In my experience having owned the 280 in the past, the 280 actually isolates better. "The World's First Graphene Headphones"
Their advertised frequency response looks shouty as hell. looks a bit problematic as well. Below the mechanical resonance frequency the level drops with -12 dB per octave. This is an acoustical issue, and is absolutely independent of the membrane material or even driver design! It's the same for moving coil ("dynamic"), planar magnetic, electrostatic, piezoelectric, or any other driver design. As long as it's a membrane that moves, there is a -12 dB/8ve drop-off below its mechanical resonance frequency (in baffle measurements, i.e. with large volumes of air in front of the driver). Their measurement however shows a much shallower drop-off, something like -6 dB/8ve. Which is strange at least, since this behaviour does not depend on the driver or the membrane material. @tinyaudio: An interesting point; thanks! yes, this is a baffle measurement of the driver, not a measurement of the final headphone on a dummy head (like the measurements here on innerfidelity). You take a very large flat surface and drill a hole in the middle (not exactly the middle, there's an IEC norm specifying where the hole should be, for various reasons the hole should be slightly off center). The hole should be the exact diameter of the driver. You then mount the driver in this hole and stick a microphone directly in front of it. Depending on the exact microphone you're using common distances are 1, 3, 10 or 100 centimeters. If you want a high SNR you'd go to 1 cm, if you want to avoid reflections of the microphone, move away to 10 cm or even further. The measurement should reflect the behaviour of the speaker in half-space radiation conditions, meaning that any surrounding boundarys should be treated to be made anechoic - or simply far enough away so that you can ignore the reflections with processing. How do those baffle measurements differ from what we hear when the driver is put in a headphone? Well in a headphone there's usually more damping, so resonances will be lower, the "front volume" (volume of air between head and driver) will not be "infinite", which has influences on the mechanical resonance frequency of the driver and also creates resonances itself. Plus the quality of the seal of this volume affects how far down the bass will extend. Did I read you're reviews wrong or didn't you prefer the Eikon to the Atticus? You reversed it above... I really like the Eikon too...bought a pair. Tyll, there some errors in your measurements of these phones. I wonder if you got the wrong data up? Here are other findings on them;http://reference-audio-analyzer.pro/en/report/hp/sennheiser-hd-380-pro.php........ check the sensitivity numbers, Tyll's are out of whack. Most reviews find a preference for the HD 380 over the 280 Pro in both sound and comfort. I have done a lot of research there, and have a couple pairs of HD 380 Pro in use in my studio. They are super comfortable for long sessions, and the sound is top shelf. Do you guys want to know something very interesting? The HD 280, 380, 555, and 595 all use the same driver. It's the enclosure, angled drivers, clamping force, and earpads that makes the sound different. I distrust the measurements, and of course, the numbers for power and voltage are obviously incorrect. What gives? They have serious problems in my opinion in just listening to them. Since Tyll is using a different compensation curve than most other sites, it's probably best to just ignore is his compensated frequency response plots. Fwiw, I have listened to both cans, and I think Tyll's (raw) frequency response plots do a pretty good job of reflecting the subjective differences in their tonal response. 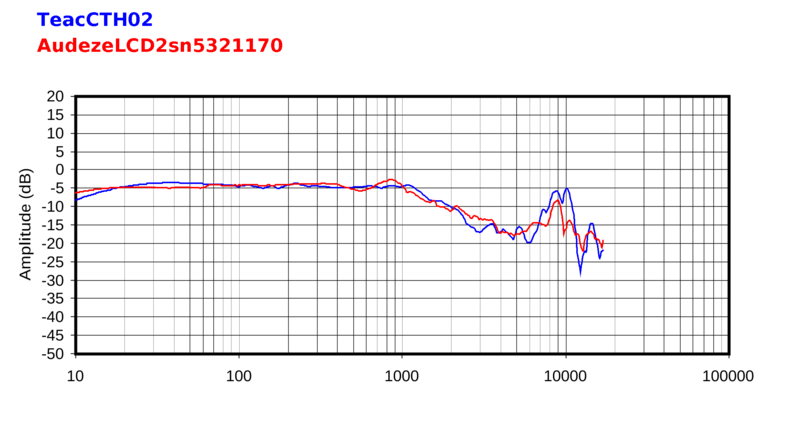 I'm glad we finally have a plot of the 380 Pro in the IF database, because it's a good touchstone for alot of people. Both headphones have their weaknesses imo. So I'm not sure I could really recommend one over the other. If you like brighter sounding "audiophile" cans, then the 280 Pro might possibly be a better choice. It has a fairly nasty peak in the 9-10 kHz range though, which may wear on some folk's ears after awhile. And smaller pads that don't seal as reliably (note the variation in the bass response in the raw spatial samples). The 380 Pro has more "punch" in the bass and low treble than the 280 Pro, which can also be a little wearing on the ears. And it has quite a bit of pad slap, due to it's large cups. And looseness in its bass. If you have bigger ears, and like a more bassy and impactful sound though, then the 380 Pro might be your preference. Both headphones might possibly benefit from a little EQ-ing. What a lot of people are missing is that the 380 Pro has a much better soundstage than the 280 and works pretty well with EQ. In my experience the 280 is less refined, less comfortable, but also is a little more balanced sounding without EQ and it isolates better than the 380 despite Tyll's measurements here. 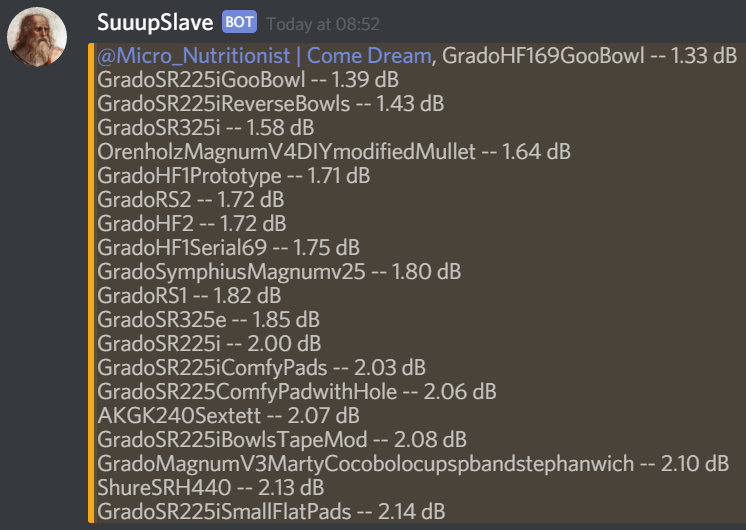 I made a small script to find similar measuring headphones. Here are a few results. Looks *somewhat* similar to the Apple Earpods. The 4th best match for the A900X is apparently the PortaPro. I'd like to know more about how this works.